Auction North work exclusively with independent local property experts to offer a modern approach to property auction whereby sellers are assured a guaranteed sale within a guaranteed timescale. Through your nominated local partner estate agent, you are guaranteed specialist local knowledge and advertising along with the regional presence of Auction North. Many different types of property are offered for sale through auction and it is not limited to investment property either, with the modern method allowing the buyer to pay an immediate deposit and then a fixed period of time to arrange their finance its clear why auction is becoming more and more popular. Durham Group Estates is a privately owned property investment company. Our property portfolio consists of Offices, Retail, Industrial Warehouses, storage land and Student accommodation covering the North East of England. 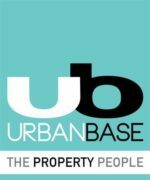 We are constantly looking to increase our portfolio and welcome enquiries from those with surplus property assets or those looking for leasehold space. Elvet Construction Consultants is a leading surveying practice within the construction sector specialising in the delivery of project management, cost management, sustainability and asset management. Established since 2007, we have successfully delivered projects on behalf of clients working in key sectors such as public and private sector housing, education, commercial and infrastructure. North East Property Hub provide extensive property management services – Our end to end Airbnb hosting support services cover all areas of short stay rentals to manage guest requirements and provide you with a comprehensive hands-off bespoke service.